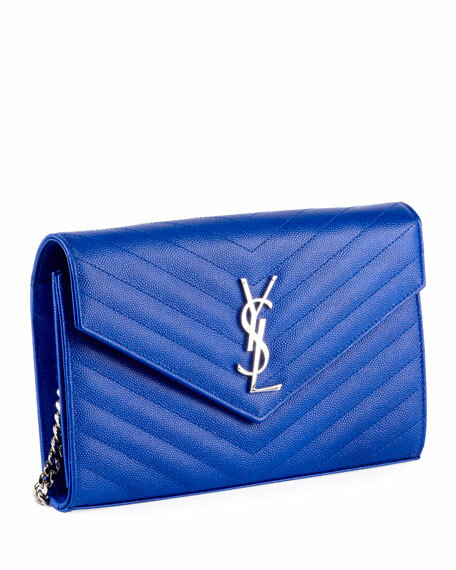 Saint Laurent grain de poudre calfskin wallet on chain. Removable curb-chain strap; 19" drop. Signature YSL medallion on peaked flap top. 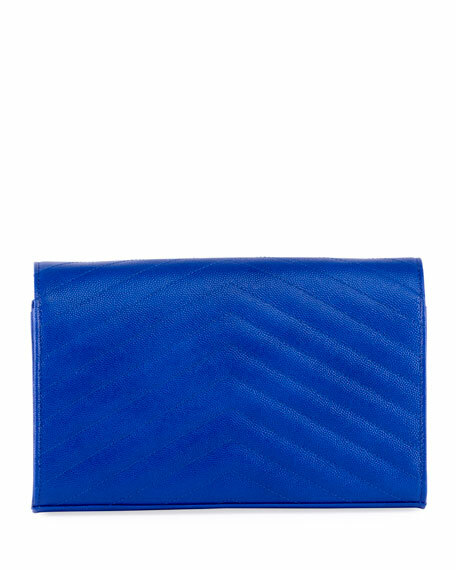 Inside: leather lining; one zip pocket; multiple card slots. 5.5"H x 8.8"W x 1.5"D; bag weight: 2lbs.